Today Beadsaholic brings the news of a new Bangle promo from Trollbeads! Starting today April 11, 2018 through April 17, 2018 Trollbeads USA and participating US retailers are offering a great promo, when you buy any Bangle you get two Spacers FREE! If you follow me on social media, then you know I am fond of Trollbeads Bangles, I tend to wear bangles more than bracelets. For me they are easy to create each day according to mood and clothing. Today I pulled out all my Trollbeads Bangles to create a few simple bangle combos, that I can stack together. Be sure to follow me on social media to see these combinations in action this week! When you purchase any Trollbeads Silver, Silver Twisted, Gold-Plated or Twisted Gold Bangle you will receive two Silver Spacers FREE and when you purchase a Trollbeads Star Bangle you will receive two Oxidized Silver Spacers FREE. Green is the perfect color for spring, here on the three silver bangles I have Trollbeads Glimpse of Green, Trollbeads Lime Prism and Trollbeads Slumber. I am loving the Trollbeads Gold Twisted bangle with Trollbeads Temptation. When you purchase a Trollbeads Copper or Twisted Copper Bangle you will receive two Copper Spacers FREE. On Trollbeads Copper and Copper Twisted I have Trollbeads Amber Violets and Feldspar Moonstone. I also made a second combination of Trollbeads Antique Flower, Amethyst and Pearl on Trollbeads Silver, Twisted and Star Bangles. Over all, this is a great time to get bangle with Spacers and save up to $40! You really can’t go wrong with a bangle and you will find that during the hot summer they are more comfortable to wear. If you would like to shop this great promo, then click on either banner below. 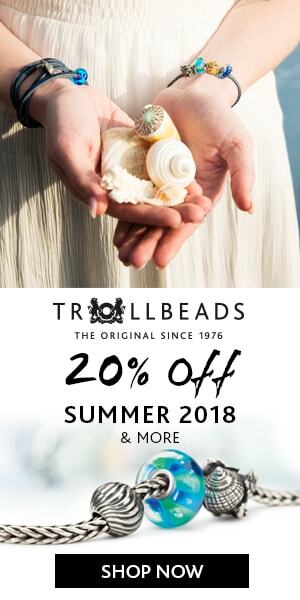 Trollbeads USA is an affiliate link; however, they only ship with in the USA and Trollbeads Gallery is a featured Authorized Trollbeads Retailer here on Beadsaholic and ships globally. So, tell me! Do you guys wear bangles? Which is your favorite to wear? Do you plan on taking advantage of this promo? I always love hearing from you all, so leave me a comment below! 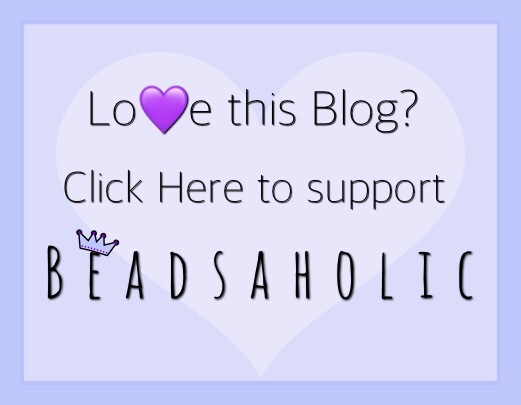 ← Ohm Beads June Bead Of The Month Suzy The Sloth!